Calder White lives in the cold, clear waters of Lake Superior, the only brother in a family of murderous mermaids. To survive, Calder and his sisters prey on humans, killing them to absorb their energy. But this summer the underwater clan targets Jason Hancock out of pure revenge. They blame Hancock for their mother’s death and have been waiting a long time for him to return to his family’s homestead on the lake. Hancock has a fear of water, so to lure him in, Calder sets out to seduce Hancock’s daughter, Lily. Easy enough—especially as Calder has lots of practice using his irresistible good looks and charm on unsuspecting girls. Only this time Calder screws everything up: he falls for Lily—just as Lily starts to suspect that there’s more to the monsters-in-the-lake legends than she ever imagined…and just as his sisters are losing patience with him. 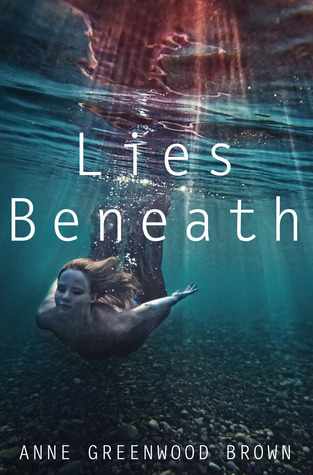 I have been dying for a good mermaid story since I read Lost Voices last year and so I was very excited when I was given the opportunity to download this from NetGalley. These are not your typical Disney inspired mermaids. They are monsters. Evil, conniving and downright scary monsters that thrive off human essence much like a vampire thrives off human blood. However they are not all powerful. Like vampires are bound to walk only by night, these mermaids are bound to water. Though they have the ability to walk with two legs upon land they also must be near enough water so after a few hours they can submerge themselves and rejuvenate (for lack of a better word), if they are away from water for too long they will die. Calder and his three sisters return to their home at Lake Superior yearly to stalk the home of The Hancock family. It is believed by the mermaids that this family is responsible for their mother’s death. Though Calder agrees with avenging his mother’s death, he is not like his sisters. Where they are cold creatures that kill mercilessly, Calder yearns for a solitary life away from them and finds other ways to survive instead of murdering innocents. His sisters tell him he is a freak for behaving this way and determine it must be because he was “made” a merman and not born one. His sister Maris puts him in charge of enacting a plan to kill Mr. Hancock. He is to seduce the eldest daughter and find a way to lure Mr. Hancock into the lake so that the three sisters can drag him in, torture, and kill him. As time progresses, Calder becomes mesmerized by Lily and eventually comes to a point where he must make a hard decision between his family and the girl he has unsuspectingly fallen for. I was pleasantly surprised with this book, I really liked the characters and the story was nothing like I expected. I was somewhat annoyed by Lily at first but after a while she grew on me. I really liked that she didn’t immediately fall for Calder but instead was straight up like “Dude, you’re creepy and you stalk me so back off a little, k?” which really made me like her a bit more than some of the other female characters I have come across (I’m lookin’ at you, Bella Swan). Also Calder’s sisters were terrifying and beautiful and Brown wrote in a way that really made me loath them yet be drawn to them as Calder was. I was worried that I wouldn’t appreciate this book as much as I should because I tend to shy away from male narrators. However, I really kinda loved Calder and his somewhat confused, twisted personality. The plot was very entertaining and I really loved how much the ending surprised me. I really did not enjoy the twist added with Tallulah but it was a small enough part that I was able to get over it in light of the whole story. As I read this book I wasn’t aware that it was the first in a series, though I can see how Brown set it up this way. I would have liked if Lies Beneath had been a standalone novel but I don’t think that will keep me from reading the sequel. Overall I think this was a great debut novel from Anne Greenwood Brown and I look forward to read what she writes next. 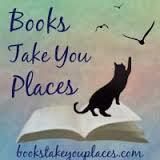 This entry was posted in Debut Author Challenge, Reviews, Young-Adult and tagged fantasy, mermaids, romance. Bookmark the permalink. The mermaid books haven't blown me away but this one was interesting because it was from a male's point of view, it was refreshing to read believe it or not! I read it in about two days, it was quick and fun!